Life for Virginia, AFTER Santa Claus...and the Power of the Printed Word! One of my friends rather astutely asked me, after I reprinted the famous "Yes, Virginia, There is a Santa Claus" letter from the New York Sun Times a few days ago, if perhaps Virginia O'Hanlon perhaps felt lied to later in life, about the existence of Santa Claus (which I don't think she really was, you know). AND, after a little research, on my side of the checkerboard, It seems that she did NOT at all feel deceived, and led a life herself of helping, and answering questions for, children-- first as a school teacher and later as a principal, and attributes the Santa Claus letter as helping her find a good direction for her life. Not to mention that the letter itself is one of the most reprinted newspaper articles of the last 100 years, read by who knows how many millions! That's pretty powerful stuff!... This goes to show what I strongly believe--that the printed word is of immense importance--in shaping our present and our future, and has the capacity to inspire generation after generation. Now, for example, It's hard to imagine what a Sarah Berhardht play would have truly been like. What it would have felt like to be in that room? It was art for the moment, hanging in the air for a brief time, never to be relieved or replayed in exactly the same way. A finite commodity. Only so many genies in the bottle. The same can be said of a Caruso concert, which despite a few scratchy recordings, can never be reprised. Lost to us forever. So, what would it have never been like to have a copy of Mark Twain's "Tom Sawyer," or Charles Dicken's "David Copperfield" ...or to have Virginia's letter in a digital file that was deleted because a storage system was at capacity. I love nothing more than to see a post card from 1860, or hold a first edition with tipped-in Arthur Rackham plates, or take a peak at the declaration of independence when in Philly, or see the hand written directions for the famous Jam Cake that Maw Maw--gone nearly 7 years now-- wrote down for me. I remember it being near seven layers thick, with icing made of coconut that was so stiff that you could mortar bricks with it, and it tasted AMAZING. You know...I never imagined back then, the day when she would NOT bake one of those during the holidays, and it would NOT be sitting under that glass domed cake dish... I still can picture that room in my mind, the table, the people, my Dad and I making sure we had our mincemeat pie, quite happy that nobody else liked it. :-) The debate of whether the dressing had too much sage or if we should put raisins in it or not (I like the raisins). But I see her recipe, and I remember it all. It's nice to have it down on paper... I'm sure you have things like that in your own life. Little scarps of paper that may mean nothing to anyone else, but mean the world to you...It's always a connection to our past. And the archieving of our history. The power of the printed word... And that's only what a recipe can do! With the power of the printed word, we have the ability to inspire, to influence, to provoke thought, to shape consciousness, as no other art form has the power to do.That is not something that should be casually lost, in my opinion. And I am a big advocate of finding a way of meshing the wonders of instantaneous communication with the beauty of a lasting legacy, finding a way to keep the artifacts of our human experience. And now, here is more about the fate of our Virginia, as I do my little part to spread her legacy into new forms of communication. In 1897, Dr. Philip O'Hanlon, a coroner's assistant on Manhattan's Upper West Side, was asked by his then eight-year-old daughter, Virginia O'Hanlon (1889–1971), whether Santa Claus really existed. 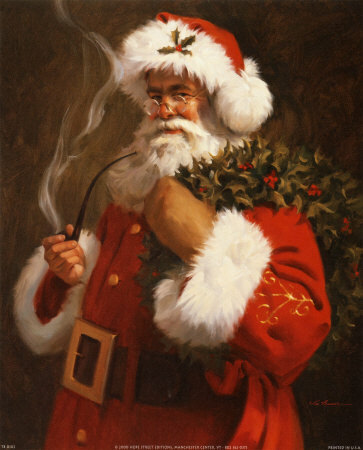 Virginia O'Hanlon had begun to doubt there was a Santa Claus, because her friends had told her that he did not exist. Dr. O’Hanlon suggested she write to The Sun, a prominent New York City newspaper at the time, assuring her that "If you see it in The Sun, it's so." 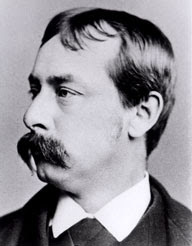 He unwittingly gave one of the paper's editors, Francis Pharcellus Church, an opportunity to rise above the simple question, and address the philosophical issues behind it. Church was a war correspondent during the American Civil War, a time which saw great suffering and a corresponding lack of hope and faith in much of society. 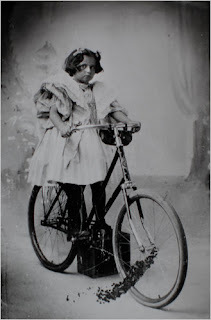 Although the paper ran the editorial in the seventh place on the editorial page, below even an editorial on the newly invented "chainless bicycle", its message was very moving to many people who read it. More than a century later it remains the most reprinted editorial ever to run in any newspaper in the English language. In 1972, after seeing Virginia O'Hanlon's obituary in The New York Times, four friends formed a company called Elizabeth Press and published a children's book titled Yes, Virginia that illustrated the editorial and included a brief history of the main characters. 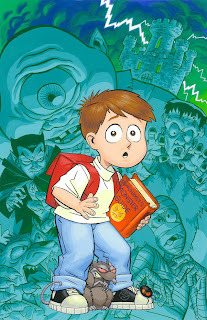 The book's creators took the book to Warner Brothers who eventually did the Emmy award-winning television show based on the editorial. The History Channel, in a special that aired on February 21, 2001, noted that Virginia gave the original letter to a granddaughter, who pasted it in a scrapbook. It was feared that the letter was destroyed in a house fire, but thirty years after the fire, it was discovered intact. Some people have questioned the veracity of the letter's authorship, expressing doubt that a young girl such as Virginia would refer to children her own age as "my little friends." However, the original copy of the letter appeared and was authenticated by an appraiser on the Antiques Roadshow in 1998. Its value was appraised by Kathleen Guzman, formerly of Christie's—now with PBS' Antiques Roadshow—at $20,000–$30,000. Virginia O'Hanlon's full name was Virginia O'Hanlon Douglas. She was born on July 20, 1889 in Manhattan, New York. Her marriage to Edward Douglas in the 1910s was brief, and ended with his deserting her shortly before their child, Laura, was born. Virginia was listed as divorced in the 1930 United States Census. Virginia received her Bachelor of Arts from Hunter College in 1910; a Master's degree in Education from Columbia University in 1912, and a doctorate from Fordham University. Virginia was a school teacher in the New York City School system. She started her career as an educator in 1912, became a junior principal in 1935, and retired in 1959. Virginia O’Hanlon received a steady stream of mail about her letter throughout her life. She would include a copy of the editorial in her replies. In an interview later in life, she credited the editorial with shaping the direction of her life quite positively. Virginia died on May 13, 1971 in a nursing home in Valatie, New York. She was buried at the Chatham Rural Cemetery in Chatham, New York. The story of Virginia's inquiry and The Sun's response was adapted into an Emmy Award-winning animated television special in 1974, animated by Bill Meléndez (best known for his work on the various Peanuts specials) and featuring the voices of Jim Backus and Jimmy Osmond, and in 1991 it was adapted into a made-for-TV movie with Richard Thomas and Charles Bronson. Another remake, a CGI animated story called simply Yes, Virginia, was first aired in 2009 on CBS with Beatrice Miller as Virginia, Neil Patrick Harris, Jennifer Love Hewitt and Alfred Molina providing the lead voices. In New York City, local television journalist Gabe Pressman has recounted the story each Christmas for the past thirty years. In 2009, The Studio School in New York City, honored the life and legacy of Virginia O’Hanlon. Janet C. Rotter, Head of School, announced the establishment of the Virginia O’Hanlon Scholarship, speaking passionately about The Studio School’s commitment to offering need-based scholarships for students of merit. Virginia, depicted as a young cartoon character, is part of Macy's 2010 Christmas campaign and appears in their 2010 holiday commercials, inviting children to stores to write "Yes Virginia Santa Letters," and at the Macy's department store on 34th and Broadway in Manhattan as the theme for its 2010 holiday windows. "Yes, Virginia, There is a Santa Claus"...and I concur. BUT, my friends, I still maintain that one of the greatest attributes of the human race is the ability to use our imaginations, to believe in things we cannot see...and to love. Much love to you all during this holiday season, and wishing us a wonderful 2011. Hi Ya'll, and Happy Holidays! You know, there are so many worthy charities out there, and each year at Christmas, especially, instead of buying alot of useless stuff, most of it made in China, I try to focus on also putting aside money and giving to charities that are doing real good in the world. This year, I'd like to submit to you for your consideration as well: Operation Smile. It's hard to imagine just what this organization does, but with a donation of only $240 dollars, you can literally "change" a life. Stop and think for a moment just what a powerful statement that really is? My friend has been giving to them each year (he also sponsors a child in Ecuador through another organization, which is also something I'm considering). But when he showed me the catalogue for Operation Smile recently, it would be hard NOT to feel for these children, needing the most basic of care. 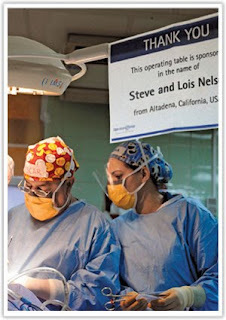 Or if you have more money, for $600 you can sponsor an operating table for a day, helping a total of 5 children!! Every dollar counts. 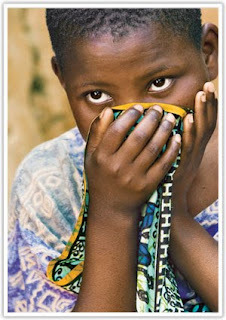 Every gift helps change a hurting child's life. • For a little as $240, you can help provide a cleft lip or cleft palate surgery. This surgery can change a child's life forever and can take as few as 45 minutes. 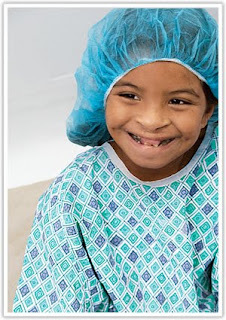 • Contributions in excess of surgical costs are invested into our sustainability programs, which empower our partner countries to treat more children on their own. • Operation Smile has more than 4,000 credentialed medical volunteers ready to donate their time and talent. Your gifts help send them to countries where desperate children are waiting to be healed. • We have a worldwide network of teaching hospitals and university partners, including Duke University, The Children's Hospital of Philadelphia, Penn State Hershey Medical Center and many others. 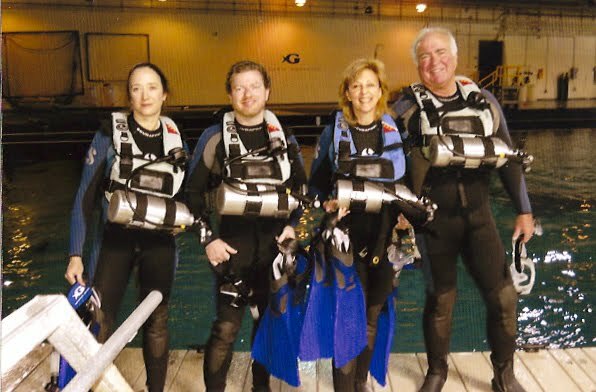 • Your gifts help support our life-support training programs worldwide. Today, Operation Smile is authorized by the American Heart Association to function as a global and mobile International Training Organization. • Our annual Physicians' Training Program (PTP) brings doctors and nurses from around the world to the United States for advanced training in their specialized fields. • Our International Foundations and U.S. Chapters raise funds, recruit volunteers and raise awareness on a grassroots level. • With your support, Operation Smile continues to lead the way in effective, safe surgeries worldwide through medical diplomacy and research. • 600 Operation Smile Student Clubs in the United States and around the world build awareness, conduct grassroots fundraising and educate students about values of commitment, leadership and volunteerism. 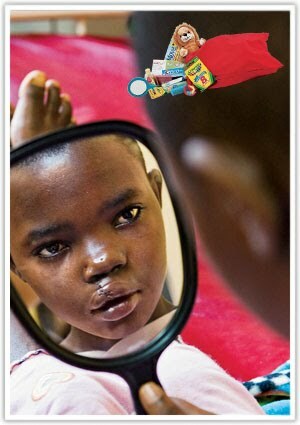 • The World Care Program brings children and young adults to the U.S. and other countries for surgeries that are too complicated to be performed during in-country missions. So, those are my two cents, and the charity I'm focusing on this year. And, yes, again, I know there are many wonderful charities. And I support several of them. I also check them out thoroughly to make sure the most money goes to the most good. 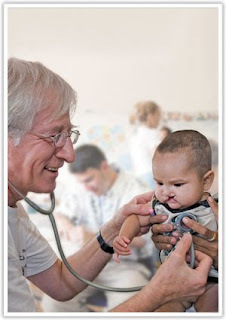 What I love about Operation Smile, is that they tell, as per above, in a quantifiable way, just where your money goes! And with that, a final wish, for a healthy and happy holiday for us all. 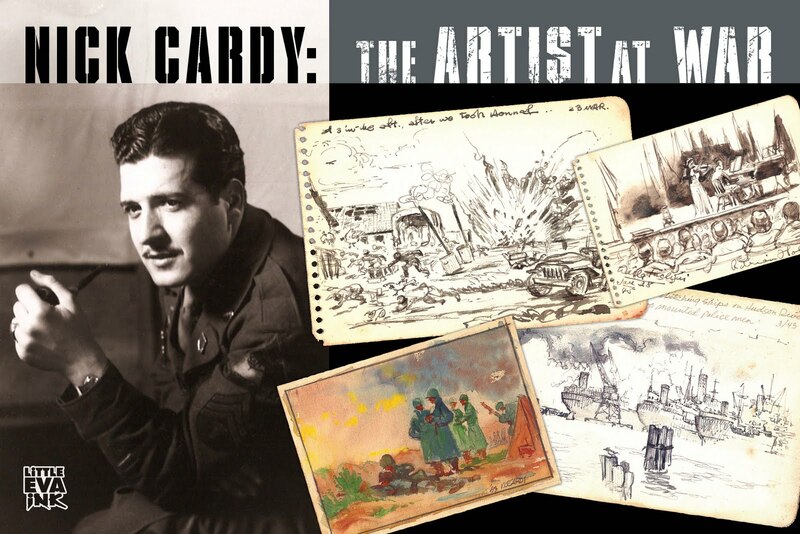 I can't even begin to tell you how excited I am about this new book from Eva Ink Publishing--"Nick Cardy: The Artist at War." I've always been a World War II buff. As you can see, I REALLY am, and have always been, fascinated by history. So, it was no wonder that on a recent visit with Nick, when he brought out a little binder, about 3 inches thick, and invited me to take a look, I was blown away by what I saw--- original sketch after original sketch, chronicling Nick's time in the army during World War II-- from the time he was drafted, through basic, to being dropped, perhaps woefully unprepared, into out and out conflict and mayham! And this was the original book! I understood the significance of that... This was Nick's outlet during the war, to take himself out of whatever was going on around him. To chronicle his life with art, in lieu of a camera. His artist's eye WAS the camera. This was the book that was in his pocket during quiet times around a mess tent. This was the book that was in his pocket when buildings were exploding around him...This was the book that was with him when he watched friends die. It was a foregone conclusion. I HAD to do this book. What I love about this project, as I'm sitting here holding the original binder, is how it unfolds like a movie... slowly... the day to day of basic training, the mundane acts of getting your hair cut, or washing your face to go to mass.... plopping down totally exhausted to sleep on a thin canvas cot--surrounded by people, but separated from those you love.... from there, the pages escalate to the young man being shipped overseas, and almost immediately being dropped into towns in Belgium enduring relentless shelling, enemy tanks approaching around the corner, buildings exploding like paper firecrackers, reduced to rubble....and finally, Nick's own exit from the war. I am so pleased to present this sketchbook in it's entirety, complete with Nick's own commentary, in a hardcover 6x9, 128 page book. Also included in the deluxe edition will be a 30 minute DVD interview with Nick talking about his experience. In these pages, you can see the same attention to movement of the human body and knack for page design so apparent in all of Nick later illustration work. So, I invite you to come on this journey--because again, that is surely what it is--one man's journey...during a horrible war...echoing perhaps the experience of millions. 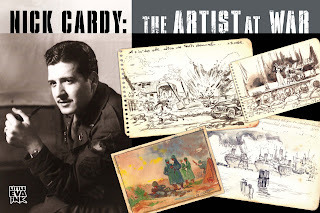 "Nick Cardy: The Artist at War"
"Renowned cover artist and illustrator from DC Comic's golden years, Nick Cardy now in his 90's, has been drawing his whole life. And thank goodness for it, as he contributes now to not only our comics history, but to our history as a nation as well. Before beginning his career in comics post World War II, Nick was one of our young men shipped overseas to take part in the “war to end all wars.” Without benefit of a camera, Nick did what he did best-- carrying a sketchbook and documenting his time in the war from beginning to end. The humor and the horror. What we have at the end of the book, is a chronicle, one man's journey, that speaks for millions. 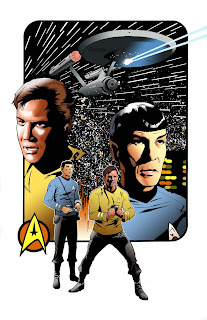 Each sketch and painting accompanied by Nick Cardy's own commentary. A must have for fans of comic art and history as we hear it from the mouth of an industry legend, and see it with our own eyes." Glowing Golden Reviews for Maryland Gallery Show! "The Comic Book Art of Michael Golden" came to a close at the Mosely Gallery in Maryland on December 2nd, 2010. But what an amazing show! Our thanks to everyone at the Mosely Gallery for a fantastic retrospective of Mr. Golden's work. 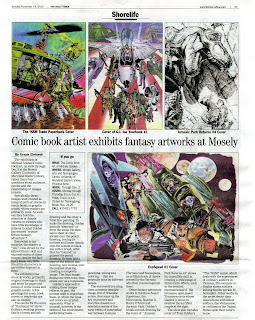 The Mosely Gallery is associated with the University of Maryland Eastern Shore, the only state run university that offers classes and degrees in sequential art. Check 'em out. On the way to Wizard World Atlanta, I was happily waylaid to go swimming with 4, 30foot whale sharks. I have to tell you, it was unimaginably incredible. At least after I got use to the other sharks in the tank... That's right! The swim also included numerous Sting Ray, Manta Ray, Hammerheads, Sand Tiger Sharks, Black Tip Reef Sharks (my nemesis) , Sawtooth Fish, and so much more. An unforgettable experience. Here is a video of the adventure featuring Matt Driscoll, myself and two nice people we'd never met before, celebrating a birthday! If you are ever in Atlanta, the Georgia Aquarium is one of only three aquariums in the United States that even HAVE Whale Sharks. So, even if you don't want to go into the water, visit the aquarium anyway. It's a wonderful place. For example, when I wasn't in the water, I was glued to the otter tank and petting baby sting ray and sharks! Golden to Conduct FREE Storytelling Class at Wizard Atlanta! Golden and Scott There to Make Your Holiday Shopping Easier! Atlanta, GA-- Get out of the crowded malls with folks fighting over sweaters people are going to return anyway, and come to Wizard World Atlanta for some not-so-last minute Holiday shopping, ya'll. 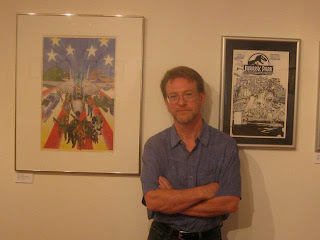 And while you are there, drop into Saturday's "Storytelling with Michael Golden," and hear some tips-- both for story and for art--from one of the best in the business. Wizard World Atlanta is taking place December 4th and 5th at the Cobb Galleria Centre, 10-6 on Saturday and 10-5 on Sunday. Headlining the guest list is artist Michael Golden, known for his stellar storytelling work in the comics industry on such books as "G.I Joe," "The Nam," "Micronauts," "Batman Family," "Avengers," and far too many to name here. Golden is also the co-creator of numerous characters including Rogue (of the X-Men), Bucky O' Hare, and Spartan X to name a few. Golden's work will shortly be seen on projects that include "Spawn 200," "Two Worlds," and a short story featuring the Rocketeer. Upcoming covers include work on the new graphic novel "Serial," as well as the cover of the children's book, "Kerry and the Scary Things." Michael will be at Wizard Atlanta both days of the show, and will have prints and new books available for holiday shopping. Get one signed for that special person on your list! He'll also be doing a limited number of sketches at the show. In addition, Michael will be offering a FREE class in storytelling on Saturday morning! This is a shorter version of Michael's paid course! Don't miss it! The tips that Michael has to share are for anyone interested in any type of storytelling medium. Joining Michael at the show will be Eva Ink Studio's member Steve Scott, fresh off a popular issue of "Batman Confidential," Steve's work has been seen on numerous books including "Indiana Jones," "X-Men Forever," "Kyle XY," "Marvel Adventures Hulk," "She Hulk," "Razor," "JLA," "The Phantom," and much more. Not only that, but Steve is the only artist tapped to do any work relating to the "Batman Dark Knight" movie, and thus the only artist to draw a sequential art rendition of Heath Ledger as the Joker, in that now famous turn. Being no stranger to media-tie in's, Steve's work has also been featured on the television show, "Smallville." Steve too will be at the convention both days, offering prints and sketchbooks to the public, as well as sketching original pieces. In addition he'll be offering original art pages for sale, including pieces from "Batman Confidential". Writer, editor and colorist Renee Witterstaetter will also be with the guys from Eva Ink Artist Group. Renee will be signing copies of all her comics, as well as her recent books "Excess: The Art of Michael Golden," and the new children's book "Kerry and the Scary Things." Other guests joining Michael Golden and Steve Scott at Wizard Atlanta include: Henry Winkler, Adam West, Burt Ward, Greg Horn, Mike Grell, Bill Sienkiewicz, Arthur Suydam, Joe Linsner, Tony Harris, and many more.